The Magical Stranger is Steve's first book. 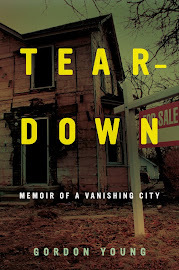 It will be released on May 14, and it's a powerful story of a son's efforts to come to terms with the loss of his father. On November 28, 1979, Commander Peter Rodrick died when his plane crashed in the Indian Ocean. He was just thirty-six and had been the commanding officer of his squadron for 127 days. Eight thousand miles away on Whidbey Island, near Seattle, he left behind a wife who never recovered, two daughters, and a thirteen-year-old son who would grow up to be a writer—one who was drawn to write about his father, his family, and the devastating consequences of military service. 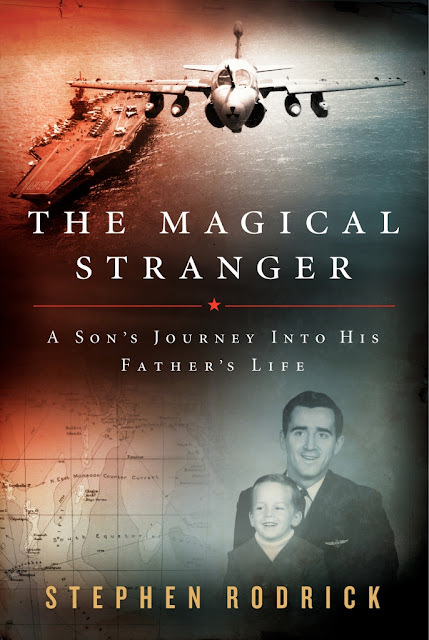 In The Magical Stranger, Rodrick explores the life and death of the man who indelibly shaped his life, even as he remained a mystery: brilliant but unknowable, sacred but absent—an apparition gone 200 days of the year for much of his young son’s life—a born leader who gave his son little direction. Through adolescence and into adulthood, Rodrick struggled to fully grasp the reality of his father’s death and its permanence. Peter’s picture and memory haunted the family home, but his name was rarely mentioned. To better understand his father and his own experience growing up without him, Rodrick turned to today’s members of his father's former squadron, spending nearly two years with VAQ-135, “The World-Famous Black Ravens.” His travels take him around the world, from Okinawa and Hawaii to Bahrain and the Persian Gulf —but always back to Whidbey Island, the setting of his family’s own story. As he learns more about his father, he also uncovers the layers of these sailors’ lives: their brides and girlfriends, friendships, dreams, disappointments—and the consequences of their choices on those they leave behind. For more information, visit www.themagicalstranger.com.